iOS 12 vs iOS 11: Whether to Make Update? iOS 12 got released. If you are wondering whether you should upgrade, here is the reason why. iOS 12 is built for performance and stability, you can, therefore, be sure to use the iOS device while at optimal capacity. The new release comes with a number of new and improved features that set it apart from the other updates. This new update supports many iOS devices from the iPhone 5 to the latest models. 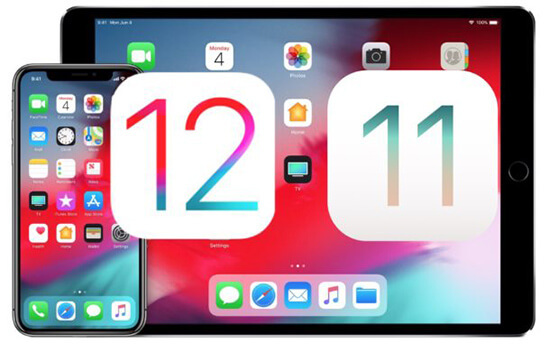 This feature will look at iOS 12 vs iOS 11 and delve into 10 concrete differences between iOS 12 and iOS 11. iOS 12 surely comes with some minor deal breakers, such as a few bugs, but that is not very annoying as the latest improvements on the update far outweigh the negatives. Some of these improvements are noted below, which are the comparison between iOS 12 and iOS 11. This new iOS offers the best experience when it comes to AR. It features a new file format the USDZ, which comes in handy when designers and developers wish to share files. While Apple expects websites to get in line with the usage of the AR since it incorporates it in the News App, it will offer configuration options to get a better experience. On the ARKit 2, a certain tool has been introduced. This is the measure tool which can be used to measure in the real world. 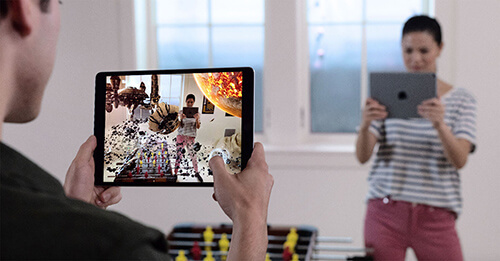 Gamers are not left out, as the AR feature gives them the ability of shared gaming or viewing the gameplay for multiple users. Animoji is a kind of emoji but with matching and one’s own customized facial expression. They are normally a preset number of Animoji, With the new update, iOS 12, one can create their own customized Animoji called Memoji. It is a feature brought about by the iPhone X which makes use of a front-facing camera. iPhones like the iPhone XS will come with the ability to use Memoji, but this is because the iOS 12 update is installed. One can still use the Animoji along with the Memoji since it is still on the device. To make a comparison between iOS 12 and iOS 11, the battery life should be considered. With the later, battery life was majorly consumed by apps with no way of countering this. iOS 12 has been cleverly built as it utilizes a certain performance function that saves on the battery life. This is experienced when the iPhone is in action. When the iPhone undertakes a number of processes, the processor power is increased, thus consuming battery life. This is just one hand; on the other hand, it saves battery life by reducing the processor power utilized when no processes are in action. iOS 12 comes with the ability to group Face-Time with up to 31 people. This is a new feature that was not initially on any other version. At this point, the verdict on iOS 12 vs iOS 11 is that iOS 12 has more futuristic and better and improved features. The only problem with this feature is that Apple recalled the beta software release and said they won’t fix it till Autumn. 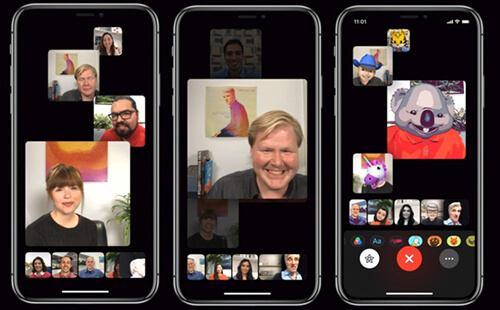 That’s not the only worst bit, users say that the FaceTime interface looks messy with so many live screens and that Apple should try and improve the feature. This is a common iPhone X OLED screen problem which you can solve by adjusting the brightness of your screen or set the display's Autolock frequency to a shorter period. When it comes to performance, speed is key on the iOS 12 update. It makes the apps run faster. When you compare iOS 12 to iOS 11, the speed and response time of apps has increased. This is because the processor power has been heightened when necessary and decreased when the device is not necessarily being used, making up for battery life. The iOS 12 can be used even by those not much into tech with ease since it is smooth to operate. In case of any unexpected incidents such as deleted data as data recovery software will come in handy. The most suggested software for the job is Joyoshare. Please read the 10th difference for more information concerning the same. iOS 12 offers a better experience when it comes to photos as compared to iOS 11. With iOS 11, photo search was limited to a number of options and which were not satisfactory. On the iOS 12 more photos have been added and the range extends to aquariums, babies, cars, forests, playgrounds, and even stadiums. That’s not all; with iOS 12, the update is smart in that it can suggest sending of shared photos to acquaintances that have got the iOS version too. For instance, for friends at the same activity or event, the iOS 12 will search for photos taken at the same activity or event and suggest sharing them. This is a new feature unleashed in the iOS 12. This feature is a digital well-being function that makes up for everyday activity on the iPhone. What this means is that for guardians supervising over the use of a child’s iPhone is possible. All the same, the function can be used to keep one from using the iPhone all the time and improve a balance in everyday life. Compared to iOS 11, the feature is new, though iOS 11 had a similar feature which was sort of a reminder; it was the Do Not Disturb which can handy even when driving. IOS 12 incorporates this and makes use of it even when going to bed. When you compare iOS 12 to iOS 11 in regard to the functions of Siri, there has been a drastic improvement. These have been in the form of shortcuts that make using the iOS 12 more smooth. The Siri shortcuts will merge the functions of other features, though they can be used independently. Such functions may include the Do Not Disturb functions which can be turned on within Siri. More shortcuts and apps could be added to improve the experience. What’s more, Siri has the capability to work with third-party apps and making it simpler to give commands as wells as customize them. Blocking device identifiers used by advertisers is not the only privacy capability improved. While using Safari, the iOS 12 has made tracking almost impossible on Safari, by stopping the sharing buttons and the widgets utilized therein. An added improvement to the privacy is the ability for Safari to store one’s passwords on iCloud Keychain. It can then sync them with all other iOS devices for easy use. With this improvement, iOS 12 will even stop websites without permission from tracking you. Other more improved features include better notifications, the RAW editing support, Siri translations, third-party app support and many more. More tweaks are being made to the performance and interface of the iOS 12. 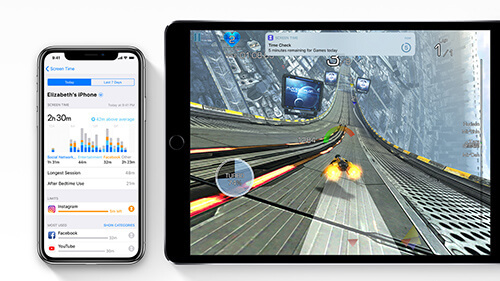 That is not all, some apps have been improved in functionality and owing to the increased speed in performance, using the iOS 12 is a major advantage over the use of iOS 11. Such improved apps will include the News, Voice, and Memo that have been completely redesigned and look awesome. Comparing iOS 12 to iOS 11, many visible differences in the functionality can be seen. While still, both are compatible with almost all iOS devices, the use and experience on the iOS device will differ with the iOS version being used. This new update features improved functions that majorly instigate better performance in the speed and functionality of the iPhone when using the iOS 12. The interface is also improved, though more tweaks are being made and some more features are yet to come about. It has never come at a better time and the version is really stable and reliable. Some accidents and unexpected incidents may happen while upgrading your iOS version. When this is the case using a data recovery software, like Joyoshare iPhone Data Recovery. It can recover more than 20+ kinds of lost and deleted data from iOS device, iTunes and iCloud backup with a high recovery rate and compatibility with any iOS device.